As soon as you have registered with iPoll you will get an instant $5 bonus in your account to get you started. After this you will receive survey invitations which if you complete them in full you will earn additional money. As well as earning money through surveys you can also download their smartphone app and take surveys or missions on the move. The app is currently available for both IOS and Android. For any tasks that you complete through the app, the money will be added to your iPoll online account as normal. Cash Sent via Paypal: This is the most popular redemption option. Once you have reached the minimum amount simply click on the rewards tab in your account and the Paypal redemption option will appear. Your $50 cash will be sent directly to your Paypal account within 3 – 4 weeks. Many Other Rewards: They have a very large rewards program on this site which means that you can choose to claim almost anything you want. On top of the most popular options you can also choose Air Miles, high street or online vouchers for as many as 125 different shops, Facebook credits and Magazine Subscriptions. Earn extra through the Smartphone App: Once you have registered through the website its definitely worth downloading the Smartphone app. The app allows you to take surveys through your phone whilst you are out and about. You will also be invited to take part in ‘missions’ where you are required to complete tasks in certain shops or restaurants. It’s actually possible to earn as much as $5 to $20 just by going on a normal shopping trip! 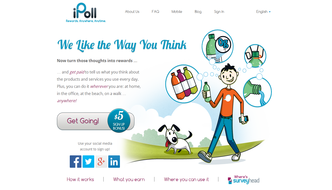 iPoll is owned by one of the World’s largest market research companies, United Sample. 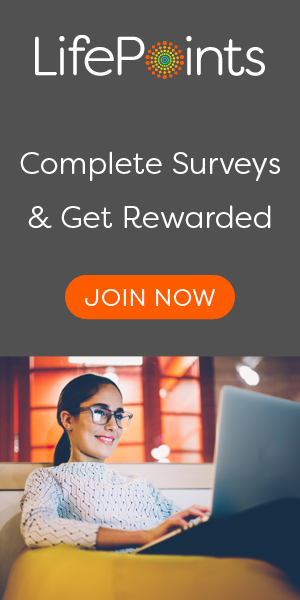 (uSamp) The company pays people to take surveys in order to get a better insight into how consumers think and behave when using products and services. The survey results and statistics are provided to companies and organisations around the World in order to help them improve and shape their products and services. To get started simply fill in the required information on the registration page and confirm your email address. (If you don’t receive the confirmation email then check your spam incase it goes in there) The personal information that you fill in on the registration page will be used to match you to any available surveys. When a paid survey becomes available you will be notified by email. The email will list the survey length and how much you will receive should you decide to complete it. You will also be notified via the smartphone app of any available surveys or missions that you can complete.